Today we were at sea all day. 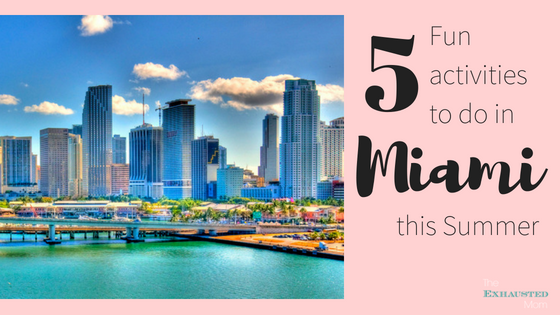 These are the best days because there are so many planned activities for the whole family. When we woke up, The Nag said we needed to drop him off at Camp Carnival right away. “I have things to do.” Little Ricky was a bit more hesitant, but when we picked him up for lunch he was smiling from ear to ear and making plans to attend the nighttime dance party. 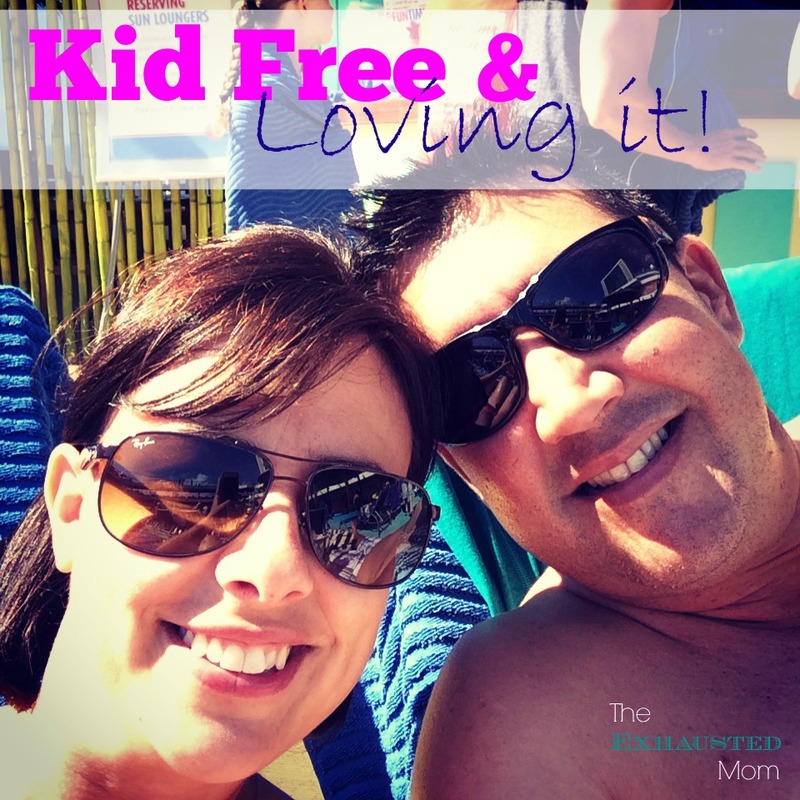 We had about 2 hours kid free and were able to relax by the pool and enjoy some morning Bloody Marys amid the sunbathers. After lunch we climbed the steps high in the sky for some Carnival Waterworks water slide fun. 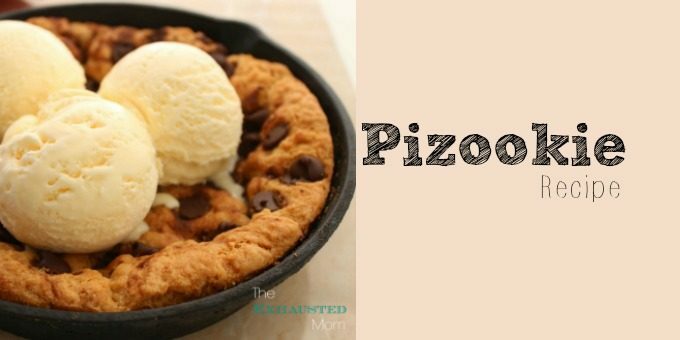 The Drainpipe was an orange tube that emptied into a giant bowl at the bottom. The Twister was a daring and fast yellow “tornado like” slide. In the water play area there were giant water guns that sprayed passer-byes and a huge bucket that periodically filled with water & then dumped on the waiting people below. The Nag wanted to go back to Camp Carnival to play video games, and Little Ricky wanted to stay by the pool to play Bingo. 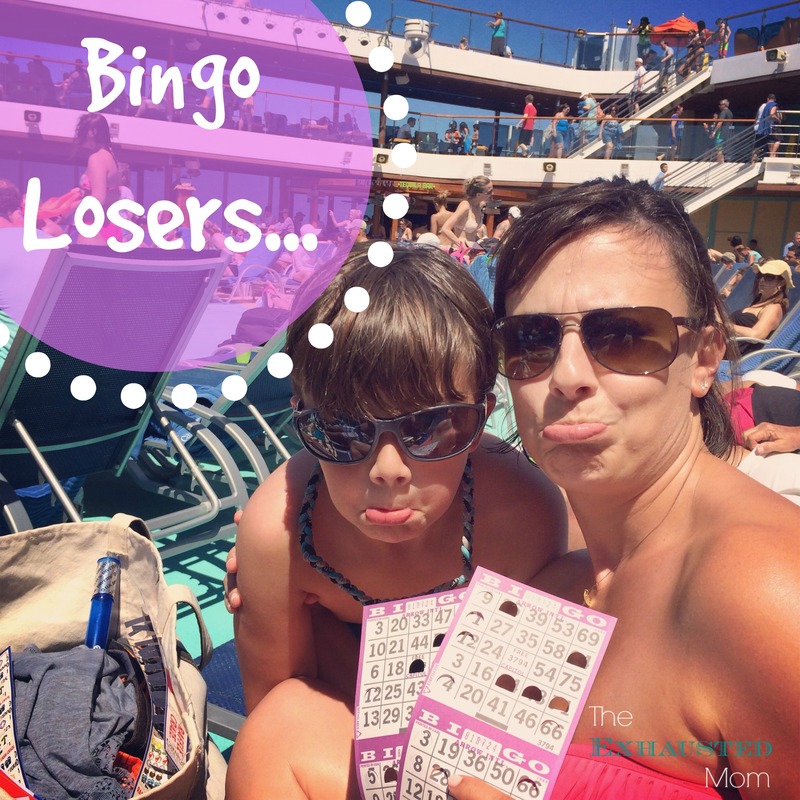 We didn’t win, but we had a lot of fun! There was also a hilarious “hairy chest” contest for some of the male cruisers. Later in the day, we went to the Hasbro, The Game Show. 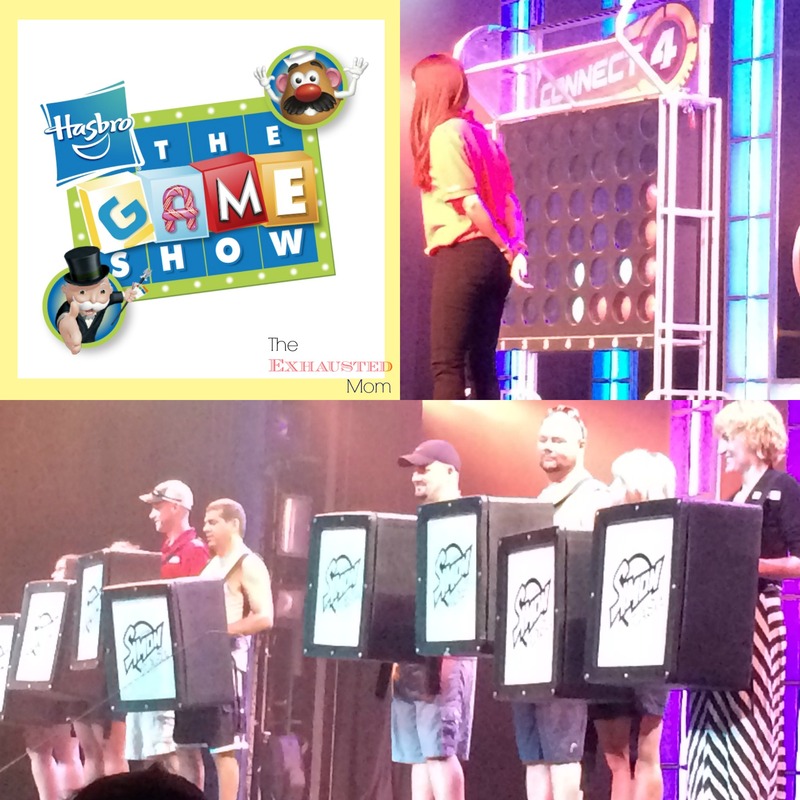 This larger than life board game show got the audience involved in the fun. The kids were disappointed they weren’t chosen to go on stage, but they had a lot of laughs cheering for their team. 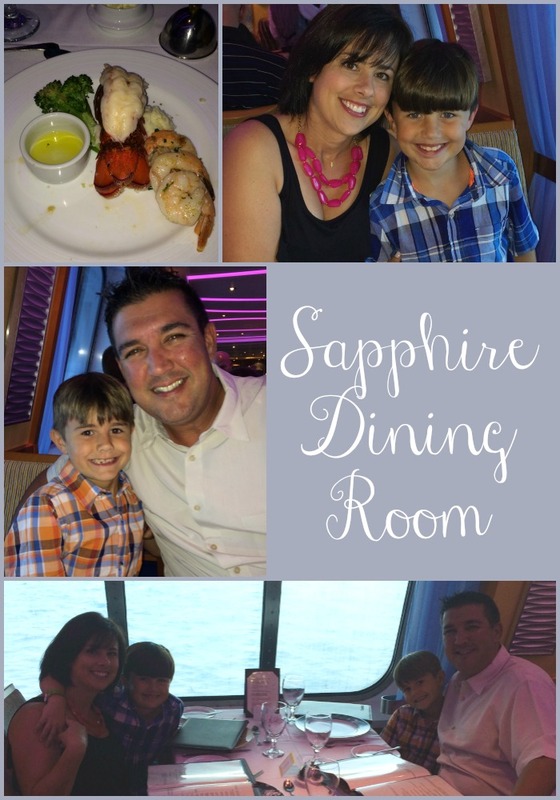 For dinner, we went to our usual table in the Sapphire Dining Room where our wait staff knew our names and just what we liked, even after only a day on board! It was lobster night and we enjoyed 2 plates each…yeah, we’re pigs. We enjoyed entertainment by the wait staff and even danced in the dining room. 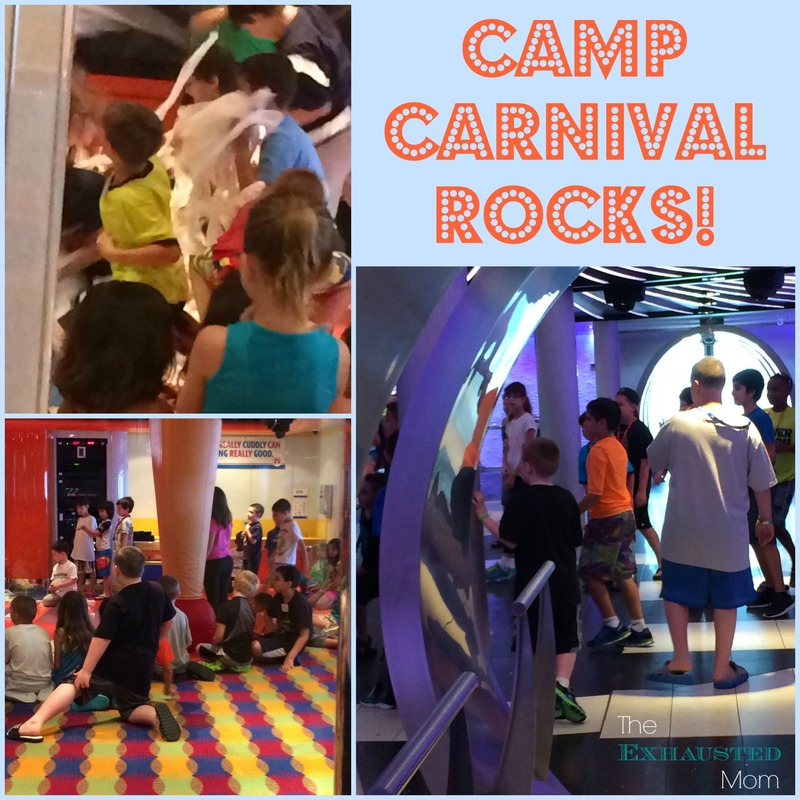 After taking the kids to Camp Carnival for their own fun, my husband and I went to the casino to try our luck. 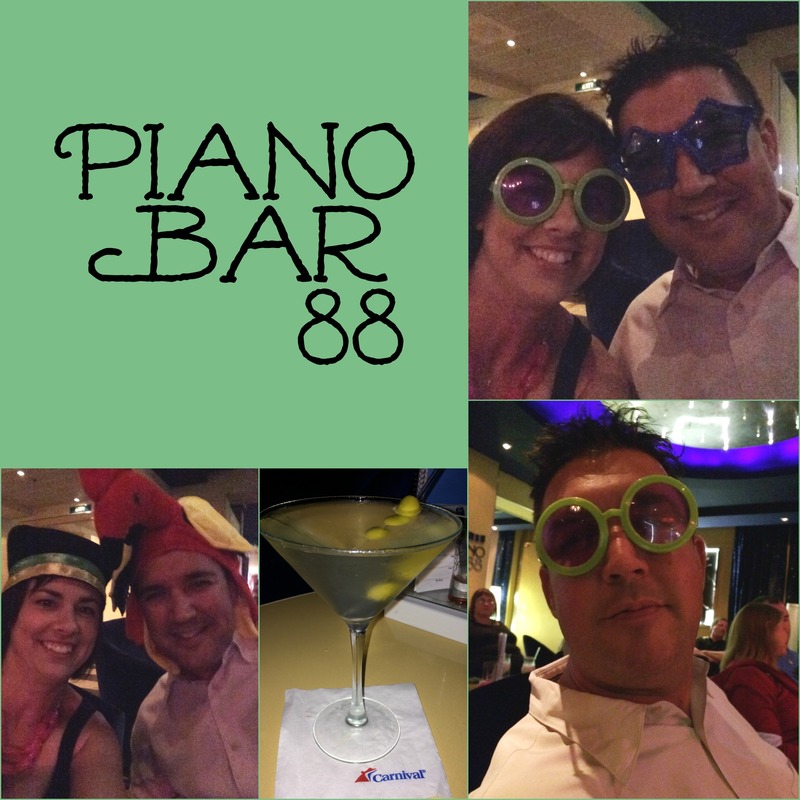 Then we headed to Piano Bar 88 for cocktails and fun. Our entertainer, Ben, was hilarious and very talented. 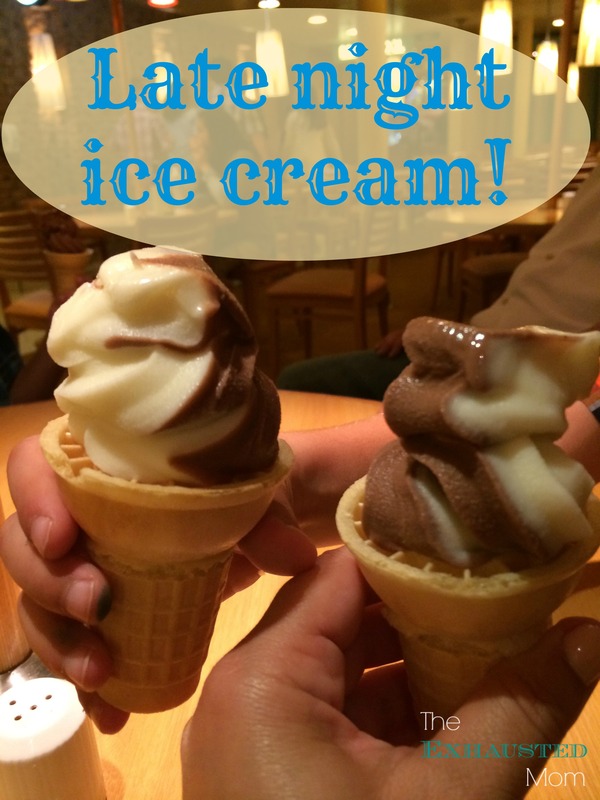 When it was time to pick up the kiddos, we went downstairs for our late night ice cream. Why not? 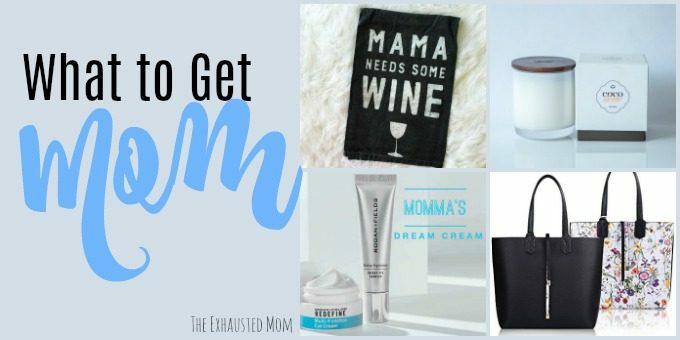 It was open 24 hours…how do you resist? 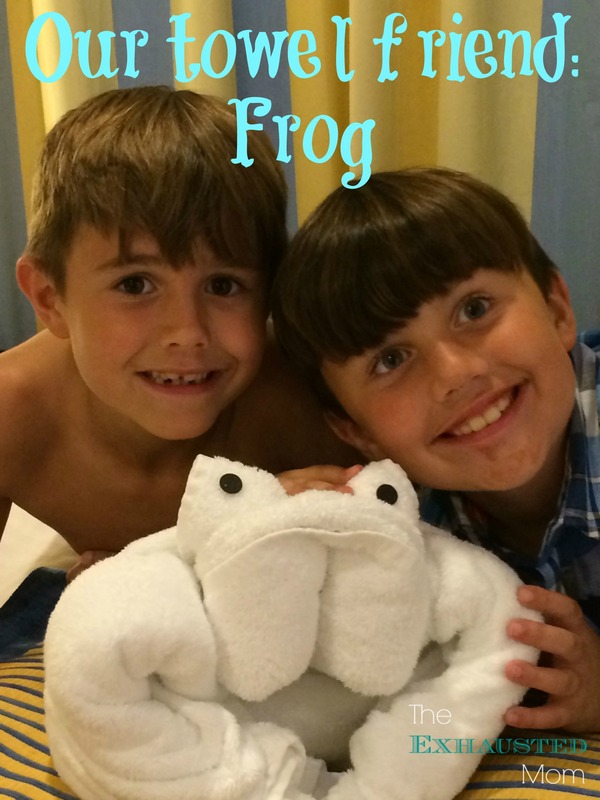 When we got back to our room, our 2nd towel friend, the frog, greeted us.